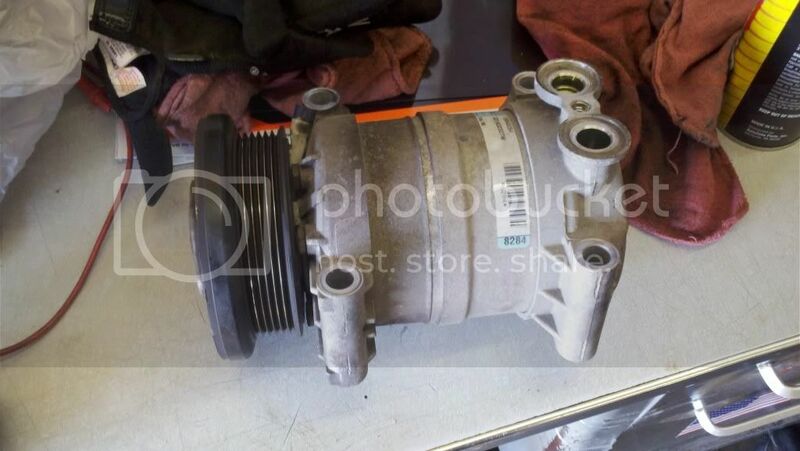 Do I have a Sanden compressor? I just replaced my compressor/drier/orifice tube on my 03 Sonoma, and thanks to you all I now have frigid cold A/C. The compressor that came off looks like a Sanden-style but I don't know how to identify it. I've been looking for a 508 to modify for an on-board air system for an air suspension project and wondered if this was one. The only casting number I found was what appears to be a date code of G-40 03 and on the head I found 6561327. Your answer is on your label--- It's a Delphi unit.......made in the USA before they moved production to Juarez, Mx. Ok, thanks. I thought maybe Sanden made them for GM or something. We do have the Sanden Direct Repacement good in stock. Its our part #20-10694-S.